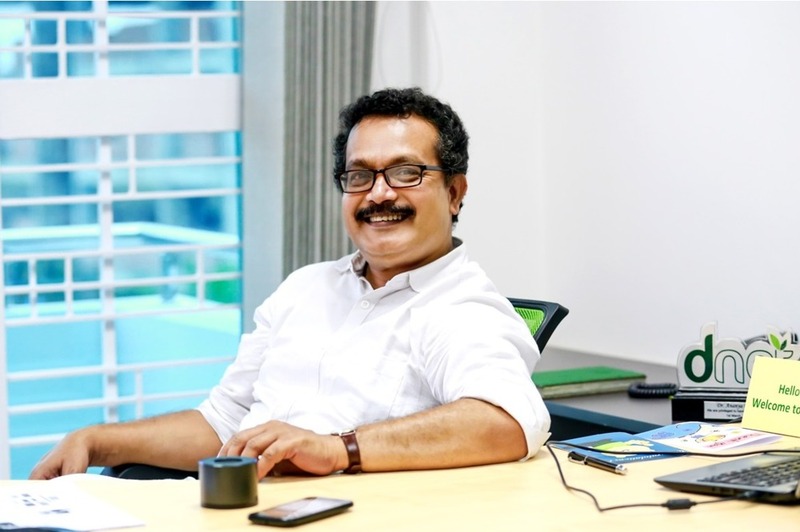 Social entrepreneur, Economist, and co-founder of Dnet, Dr. Ananya Raihan, reflects on his early life, professional choice of economics and development, serendipitous journey into the world of technology, the birth and early days of Dnet, struggles and pains of working on a new idea, building Dnet as an innovation hub, and Dnet’s approach to innovation, measuring impact, incubating ideas and launching spin-off ventures. I want to dive in at the beginning of your story. Where did you grow up? How was your early life? I grew up in a middle-class family. Most of the family members including my father were in teaching. My father was a Lecturer of Bangla at a Government College. He started teaching in college and subsequently joined Jahangirnagar University. Because of the nature of his job he used to transfer a lot and go from one college to another, one place to another place and we traveled with him and saw many parts of our beautiful country at that time. I was lucky to study in eight different schools in twelve years of my pre-tertiary education! It certainly had some silver linings. I made a lot of friends all over the country. I learned to cope with and adjust to the changing surroundings. Once I managed to have a couple of friends at one place, I had to leave to another new place and start everything over. I think it helped me with my later life as well. Probably, my traveler gene settled within me from my boyhood. However, the feeling at that time was mixed – leaving friends in one place, and, the excitement of getting new friends in a new place. It taught me the transient nature of life. Towards the end of my high school life started settling down. We moved to Jahangirnagar University Campus and stayed there for the next four years. My father completed his Ph. D in Bangla Literature from there and joined as a Professor. I finished my high-school and college from Jahangirnagar University School and College. The culture at our home was very liberal. The life within and outside the school was vibrant, with lots of activities – books, music, literature, gardening, traveling, organizing events with school mates. We used to read a lot and we, five siblings, together built a library on our own. You went to BUET after your Grade XII, although you did not want to. What happened then? In our time there were three routes to professional life: be an engineer, doctor or a government official. Having leftist political influence within the family, I read a lot on Marxism and started believing that to change the world first we need to change the economy so that people have equal opportunity. When I was finishing Grade X, I believed that I have to study economics. But since I was very good at Mathematics, my parents wanted me to go to BUET and become an Engineer. After Grade XII, despite my unwillingness, I sat for admission tests for both BUET and Jahangirnagar University. I got selected in BUET and became first in written admission Test in Jahangirnagar. I went for the interview, however, Professor Akhlakur Rahman, one of my idols in Economics, who was the then Chair of the Economics Department, rejected me as he knew that I was selected in BUET and my parents wanted me to study there. Finally, I had to enroll in BUET, but this was against my will. "I applied for the scholarship and eventually went to the Soviet Union to be an Economist. It was 1984. Interestingly, my class at BUET was scheduled to start on September 11, 1984. I started my class in the Soviet Union on the same date. I have chosen my path in life." The year 1984 witnessed lots of political turmoil and between my HSC Exam and beginning of class in university, there was almost a year time. One good thing of getting into BUET was that I got the opportunity to spend time with a lot of really passionate and great people. I used to spend most of my time with my seniors. There was a science magazine at that time called Onu (Atom), by Prof. A R Khan of Dhaka University. Swapan Biswas, a senior student of BUET, was the editor of the magazine. The purpose was to popularize science in Bangla language. Once I came across the magazine, I immediately got interested. I started to work with the magazine team. I took over significant responsibility within a short period of time. I used to write the article for the magazine, collect write-ups from other writers, and look after composition and printing in press in Ram Krishna Mission Road. After getting the magazine printed, I had to distribute them in the bookshops in New Market and collect the sales proceed. I was very active in anti-military regime movement and worked with the Communist Party and Bangladesh Students’ Union. I participated in processions, chanting slogans, writing graffiti on the walls, publishing little magazines, delivering secret documents from one place to other. I was also very active with Children Cultural Movement though ‘Khelaghor’. It was an exciting time. I already left home and was staying at Ahsan Ullah Hall and doing all these. I was supposed to start my class and stay in Shaheed Smrity Hall (BUET dorm). Soon my parents realized that they didn’t do a very good job by forcing me to study engineering. Later they found out a scholarship offer for me to study Economics in the Soviet Union (the country, which does not exist anymore, I was placed in Ukraine, one of the states of the USSR). I applied for the scholarship and eventually went to the Soviet Union to be an Economist. It was 1984. Interestingly, my class at BUET was scheduled to start on September 11, 1984. I started my class in the Soviet Union on the same date. I have chosen my path in life. Tell us about your experience in the Soviet Union. It was an incredible experience for me. On the one hand, it was a demystification of my idea about socialism in practice. At the same time, it helped me understanding the dysfunctional capitalist system better. Most importantly, I witnessed fall of an empire from within, to me, which was inevitable. After my Russian language course, I enrolled in Planning economics. Soon I realized the course curriculum is full of political dogma. The University I enrolled was always at the cutting edge of technology research and progressive in its own way. The university introduced a new discipline called “Economic Cybernetics”. It was an advanced version of Mathematical Economics. The idea was to experiment on how to use artificial intelligence modeling in economics, to be precise, in economic forecasting. I have been doing very well at Mathematics and as I was eligible for the discipline, I switched my discipline without a second thought. It was in 1988. Looking back, I think it was a right decision, as I was able to learn something which is still relevant and cutting edge. We learned a lot about programming, algorithm, AI, and semantic language. Later during our masters, we studied how to coalesce scientific innovation with market information to determine when a company should design a new product or when to further develop an already existing product. After my Masters, I was offered to enroll in the Ph.D. course. My Ph.D. thesis was an extension of my Master’s research; an attempt to combine stochastic modeling with semantic modeling and forecasting product renewal cycle in the high-tech industry. I was awarded Ph.D. in 1994. The joint work done by me, my guide and another fellow were patented. And I was eligible for royalty for 20 years. During my Ph.D. research, I was offered to join my university as an Assistant Professor, where I taught Mathematical Programming, Forecasting until my return to Bangladesh in 1995. I wanted to become politically active to change the world, after completion of my academic pursuit I decided to come back to Bangladesh and change the world as a professional. "It was an incredible experience for me. On the one hand, it was a demystification of my idea about socialism in practice. At the same time, it helped me understanding the dysfunctional capitalist system better. Most importantly, I witnessed fall of an empire from within, to me, which was inevitable." You returned to Bangladesh leaving your opportunities abroad and then what happened? Tell us about your early career life in Bangladesh. Life of professionals returning from the Soviet Union was never easy. It was not easy for me either. After coming back, I decided to pursue an academic career and applied for the position of Assistant Professor at Jahangirnagar University. In the process of interview, I was invited by the then Director General of BIDS to join him for conducting research. I was rejected from a political perspective and now I think it was a blessing for me in disguise. I joined BIDS as a Junior Consultant in July 1995, for which Ph.D. was an over-qualification. I took the position just to prove myself. The days were tough for me, as I had to explain every day to myself what I was doing there with a Ph.D.
During my BIDS time, I did extensive field work that has served me well later. Despite my designation, I used to love my work and worked harder. I did some really interesting work there and learned a lot. I worked with Dr. Dilip K Roy and Dr. Mahmudul Alam and in one year published two papers and was able to prove my ability. "Despite my designation, I used to love my work and worked harder. I did some really interesting work there and learned a lot." How did you get into IT, social innovation and social enterprise space? How did Dnet come to exist? Tell us a bit about your journey. During my study of Economic Cybernetics, I found out that there is a lot to do at the intersection of information technology and poverty alleviation. It inspired me to learn my subject as much as I can. The first scope of applying my knowledge, albeit not directly, came when I started working at Bangladesh Institute of Bank Management (BIBM). Beside my regular teaching job and training of bankers, I started working on promoting electronic banking, e-commerce, especially ATM banking. The decision makers in the banking system and industry leaders in banking solutions development still recognize the contribution of BIBM, not only in creating banking cadres with technology vision but also facilitating the introduction of technology based banking. I got the full freedom of introducing new courses focusing on information technology. 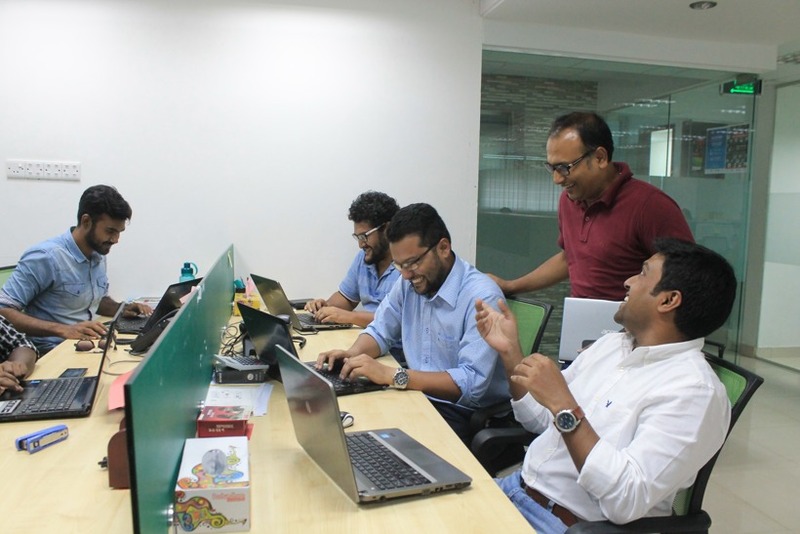 In 1998, a group of non-resident Bangladeshis launched a platform named ‘Tech Bangla’ in the USA with the slogan ‘Technology-not aid for Bangladesh. The first convention took place in 1998 in Atlanta City. It created a huge excitement in Bangladesh and decision was made to host a convention in Bangladesh in 2000. In the run-up to the convention, it was decided to conduct a comprehensive study on ‘E-readiness of Bangladesh’ following a framework developed at Harvard University. I was contacted by the Tech Bangla group to lead the research. At that time I met Anir Chowdhury, the current Policy Advisor at A2i, Mridul Chowdhury, CEO of mPower, Fahim Mashroor, CEO of bdjobs.com and many of today’s industry leaders. In the course of conducting the research, the team started to feel that there is no specialized institution working at the intersection of technology and development, and it is time to start one. After the convention, which was held in December 2000, the group of enthusiasts met again in January 2001 and decided to form the institution named ‘Dnet’. I was the founding Executive Director and started working on a voluntary basis. I remember, we met honorable Prime Minister Sheikh Hasina after the convention and shared idea of a technology based Bangladesh. I proposed to revisit the framework for EEF so that small and new companies can take benefit of the financing mechanism. The Prime Minister listened to our ideas and the EEF framework was changed. Anir Chowdhury and I worked very closely in setting the agenda for Dnet. We worked hard to figure out the core activity of Dnet and met many enthusiasts. I remember Anir and I went to Dr. Toufique-e-Elahi, he was the Planning Secretary at that time. He listened to our idea and encouraged us to make a presentation to the members of Planning Commission. It was a big deal for us. We took preparation and presented our idea. We showed how sub-optimal decision-making creates obstacles to using opportunities fully and how access to information could solve this problem and why it is important to ensure access to information for a larger group of the population in order to empower them and alleviate poverty. We continued preparing a theoretical basis for our work. I left BIBM in July 2001 and joined the leading policy think tank Centre for Policy Dialogue (CPD). After working the whole day for CPD, I used to spend my nights and weekends working on Dnet. Professor Rehman Sobhan and Dr. Debapriaya Bhattacharya were very generous in encouraging me to pursue the ICT works. Our idea was to create a common access point in villages and create ‘information intermediary’. This idea evolved since then. An ethnographic study was conducted in 2003. Based on the research I developed a holistic model for testing the idea. I was awarded Ashoka Fellowship in 2004 for the idea of ‘Pallitathya Model’. I decided to leave CPD and it took 16 months. I joined Dnet full time on march 01, 2005. That was the beginning of my journey as a social entrepreneur. I would like to mention names of three persons who made my journey possible. Dr. Shamsul Bari, Chairperson of Research Initiatives, Bangladesh, who believed in us and gave money to conduct the ethnographic research, which helped us to design the Pallitathya Model. Professor Rehman Sobhan, who listened to my wild ideas over lunches and connected me with IDRC. That connection facilitated receiving first large funding for conducting an experiment on Pallitathya Model. Shaheen Anam, Executive Director of Manusher Jonno Foundation. The support of MJF helped in the institutionalization of Dnet. Let me tell you briefly the story of Pallitathya Model. Once we have got the design based on the ethnographic study, a full -fledged pilot in 4 locations was conducted by Dnet since 2004 with 4 models with the name “Pallitathya Kendra (Rural Information Center). One of the models was tested in Charbata Union Parishad in Subarnachar Upazila of Noakhali. The success of that model was recorded in 2006. In 2006, the e-Governance Cell at Prime Minister’s Office was converted into Access to Information Program, supported by UNDP. Two key people joined from Dnet to A2i in quick succession: Anir Chowdhury and Naimuzzman Mukta. Under their leadership, a pilot on one of the fourth models (public access to information point based in Union Parishad) was tested. The plot was conducted with Dnet’s Pallitathya model. After the pilot, the planning began to launch Union Information and Services Centers (UISCs) in all Union Parishads, when Awami League came into power in 2009. The UISCs were launched country-wide in November 2010. It is just a short story of one of the ideas, generated, nurtured, tested and then scaled up. There are other stories. Although Dnet did not receive due credit in this information revolution, I am happy that the idea of developing the model through extensive field research and then scaling up worked well. "I left BIBM in July 2001 and joined the leading policy think tank Centre for Policy Dialogue (CPD). After working the whole day for CPD, I used to spend my nights and weekends working on Dnet. Professor Rehman Sobhan and Dr. Debapriaya Bhattacharya were very generous in encouraging me to pursue the ICT works." Looking back, how would you describe the evolution of Dnet? I would describe the evolution of Dnet in two ways. One, Dnet has become mature and process oriented and ready for rapid growth. Second, Dnet always has upgraded itself and remained contemporary in terms of innovation, which is proven through its transformation into a social enterprise. Dnet is one of the few institutions, which was able to attract global attention with its innovation and now works outside Bangladesh. I would divide Dnet’s journey into three distinct phases: first phase: 2001 – 2008: phase of discovery; second phase: 2008 – 2015: phase of transformation; third phase: phase of global operation. In the discovery phase, Dnet was very agnostic about where to start. We hear about design thinking, human-centered design and many new terms nowadays. I feel proud to say, Dnet always started with ideation, then prototyping, field testing, before launching any new product or service. Through ethnographic research, Dnet chose access to information as a prime focus of its work. As an institution, the philosophy of its works was based on Amartya Sen’s concept of development as freedom. The main objective of development should be making people free to make choice from available opportunities. In other words, we need to create immense opportunities and help people choose to make their own options. In making an informed choice, access to information is the key. If you look at the solutions designed by Dnet, the core focus of ‘access to information’ remained throughout the discovery phase, be it ‘Pallitathya Model’, ‘Infolady Model’ or ‘Innovations in Education’. "In the discovery phase, Dnet was very agnostic about where to start. We hear about design thinking, human-centered design and many new terms nowadays. I feel proud to say, Dnet always started with ideation, then prototyping, field testing, before launching any new product or service." Dnet has played a major role in creating the market for Bangla language digital content by creating first digital content repository ‘Jeeon’. The other major element of the discovery phase was defining the primary target audience of Dnet’s work. In first seven years, the consensus within Dnet was that the primary ‘market’ for Dnet innovation would be women and children. However, Dnet always designed solutions with a critical engagement of gatekeepers and male counterparts. Defining a problem – designing a solution – testing the solution – iterative corrections of the design – making the solution ready for scale– scaling the solution: this was the approach Dnet consistently followed. The second phase of Dnet started at the end of 2008, through the formation of its first for-profit venture ‘Multimedia Content and Communications’ (MCC Limited). Over the years, MCC has become the market leader in digital content development. All major players, like BRAC, Champs21, Dnet, and UNICEF were clients of MCC. MCC currently works in mobile application development. The idea of formation of MCC came from the thought that it is crucial to launch a new solution with our own resource, which would allow flexibility and efficiency. Financial independence is the key to making effective solutions for the masses. The dividend from for-profit venture’s profit can augment and gradually replace funding from development partners. We are fortunate that from the third year of its inception MCC started making a profit and giving a dividend to Dnet. Subsequently, we launched a few other ventures. Two of them failed miserably, for multiple reasons. In the transformation phase, Dnet invested in building the capacity of software development and telecommunications platform development. 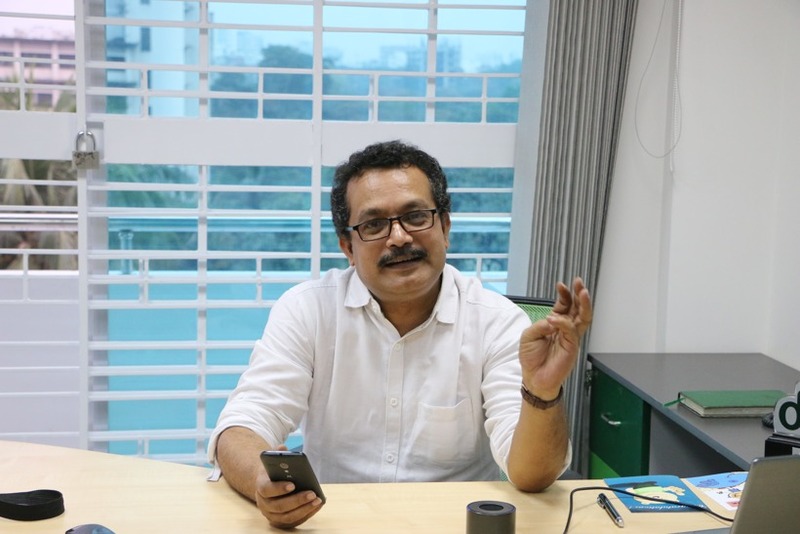 One of the feathers of success in the transformational phase is launching of Aponjon (www.aponjon.com.bd), a mobile health service for pregnant and new mothers and their family members, which has become the largest mHealth service in global magnitude. The most important thing about Aponjon is that, from the very beginning, USAID, one of the partners, and Dnet were clear that it is going to be sustainable as a social enterprise. The uniqueness was reflected by introducing a pricing mechanism for the service with an built-in model for free service through ‘Sponsor-a-Mother’ program. Beximco Pharma and Johnson and Johnson consistently supported this program. Aponjon is a perfect example of sustainable social enterprise approach even as a project ad now it is in the process of further transition. Dnet discovered itself as a solution designer in this phase with a number of large-scale IT solutions. Two of them deserve special mention. Repatriation Management System (RIMS) is a live online platform, which is now being used in Bangladesh, India, and Nepal by actors of anti-human trafficking, which allows faster repatriation of victims of child trafficking. Already, a number of girls’ children have been repatriated from India to Bangladesh and Nepal, thanks to the system. This system and other solutions identified in the ‘Technology Blueprint’ document developed by Dnet, has global potential, on which Plan International and other agencies are now working to build a global platform. It is to be mentioned that Dnet became the regional system integrator of this system leaving Microsoft and Infosys behind. And the reasons were its unique position of in-depth understanding of the context as well as proven system design skills. The second solution is called ‘RTI Tracking System’. After Awami League government came to power, one major achievement was the enactment of Right to Information Act 2009. Dnet, with other major organizations, was very active in this process. Since then, Dnet pro-actively has been working to promote the Act among citizens and also working with the Information Commission, Bangladesh. Dnet has developed and deployed the RTI Tracking System, which allows Citizens apply for information to any authority under the law. On the other hand, designated officers and other top management including Information Commission itself can monitor and respond to citizens. One can monitor the progress of submission and take necessary action, when necessary. Dnet has worked very closely with A2i and very soon the system is going to open to the public. "The other major element of the discovery phase was defining the primary target audience of Dnet’s work. In first seven years, the consensus within Dnet was that the primary ‘market’ for Dnet innovation would be women and children." While the first enterprise of Dnet was launched in 2008, Dnet formally vowed to become a social enterprise through an institution-wide retreat in 2012. It took 3 years to complete the process of transformation. In a retreat in January this year, Dnet was formally announced as a social enterprise. Phase 3 has started this year. 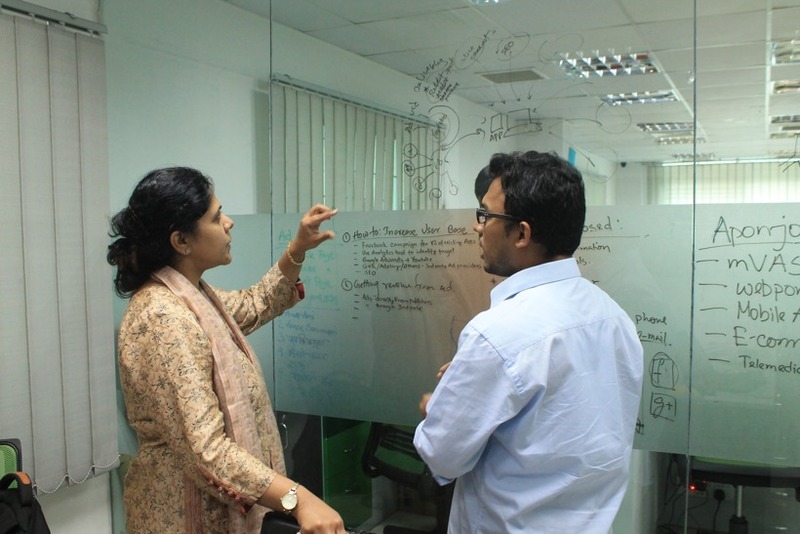 Dnet has incorporated three new ventures: the flagship initiative ‘Infolady’ has been transferred to ‘iSociaL; LifeChord has been incorporated as a specialized digital healthcare enterprise, which is in the process of taking over Aponjon; and last but not the least Junction Bangladesh was launched to institutionalize the experience of Dnet in incubating and supporting enterprise to grow. Junction is going to support innovators and entrepreneurs in the whole spectrum of enterprise building. This is, in brief, the three phases, and, I believe, the narrative gives some idea about the evolution of Dnet. We have been able to develop an effective organizational process and a revenue model over the past years that has helped us to become self-reliant in many ways in order to continue many of the projects that are difficult in nature but we wanted to pursue in the long run. We have always tried to remain sincere about the social impact of our activities and always tried to come up with ideas to measure our impact. Because, once you have chosen what you want to do, you have to take measures to make it yield impact. We understand that anything that can’t be measured should not exist. The advantage of our organization being a non-profit is that no one is touching the profit; instead, it is being reinvested in other projects. Dnet, in that sense, is totally transformed now. But we had to make a lot of sacrifices for this. The other significant change, of course, is our culture of innovation. We have been able to embed the culture of experiment and innovation within the organization. As I was telling, in last 15 years we have started a number of ventures, both for-profit and not-for-profit. Some of them are successful and some others failed. But we learned a great deal from the experiences. The most important learning is, we are not afraid to fail and we know how to bootstrap and build a new venture. I remember one thought by Amartya Sen, which he mentioned in his public lecture delivered in Dhaka after receiving his Nobel Prize. He said, “For a country to develop, we need to build thousands of institutions which will not perish within a short span of time, but will stand tall for hundreds of years.” This idea fascinated me for a long time. I believe, in my career, I can tell that I tried to build institutions. An institution is something that has a future. An institution has the courage to embrace changes and has the ability to evolve. This is how an institution runs for generation after generation. From that perspective, I have always wanted to build something which would survive the test of time and that’s where my experiments with many projects come in. I think, at Dnet, we have come to a point where we understand our work better, focused and are more confident as an organization. "The other significant change, of course, is our culture of innovation. We have been able to embed the culture of experiment and innovation within the organization. As I was telling, in last 15 years we have started a number of ventures, both for-profit and not-for-profit. Some of them are successful and some others failed. But we learned a great deal from the experiences. The most important learning is, we are not afraid to fail and we know how to bootstrap and build a new venture." You said, you started and incubated a couple of ventures within Dnet. When did you decide to incubate ideas and turn them into separate entities and how do you do it? Initially, there was no such plan to incubate ideas or startups independently. It came organically. One of the reasons probably, we wanted to create a revenue stream through which we could generate revenue and reinvest that money into running some of our long term projects. As I was telling, it is often difficult to run experiments with donor funding because there are limitations and inflexibility but we thought if we could manage to invest ourselves then probably we could run more experiments. We often saw that our experimental models were not working properly, so we needed to tweak the solution. But it was very time consuming to get approval for any change when you are working with the donor money. It was very frustrating. I think this frustration partly, inspired us to incubate ideas. We also saw needs in the market that we thought we could solve and experiment with ideas. In an informal chat with colleagues back in 2007, I was telling my colleagues that we should stop taking grants and start investing ourselves. I think that was the beginning and my colleague Ashraf Abir took the challenge and formed MCC in 2008. The whole content team of Dnet was transformed into a new venture. We designed a model, when we incubate an idea and decide to form a venture, we invest everything and the co-founder who take the charge of execution own 15-30% of the startup. We give the founders full freedom to execute and support accordingly. You give a lot of importance to impact and have your own model to measure it. Tell us a bit about it. I have told a lot about the Pallitathya model and how the model was scaled up into UDCs. During the experimental phase, we could clearly see that local community was benefitting: both the entrepreneurs at the Pallitathya Kendra and beneficiaries. We found out that there are a lot of methods to measure impact, both quantitative and qualitative. But, none of them measures how much financial benefit the community makes. The World Bank introduced the concept of social rate of return (SRR), however, it was not popular. We thought that we need to develop a new method for measuring financial benefit of the community. We gave the metric a name, Benefit of Investment (BOI), against the metric ‘Return on Investment’ (ROI), which is very popular among businesses. This was particularly a unique attempt. We also got the assistance of a research team from the University of Washington. Together we chalked out and applied the method. And the result was fascinating. We could really measure the result of how a farmer could cultivate more efficiently with the help of our information center. According to our method, there were four factors in poverty alleviation: whether the current income is increasing and how much is the rise, whether new income opportunity were being created and how much is the earning, whether one could save costs and what is the magnitude of saving, and whether one was able to save herself/himself from a downturn or risk. We found that every Tk. 1 investment the communities either earned or saved Tk. 15. "An institution is something that has a future. An institution has the courage to embrace changes and has the ability to evolve. This is how an institution runs for generation after generation. From that perspective, I have always wanted to build something which would survive the test of time and that’s where my experiments with many projects come in. I think, at Dnet, we have come to a point where we understand our work better, focused and are more confident as an organization."